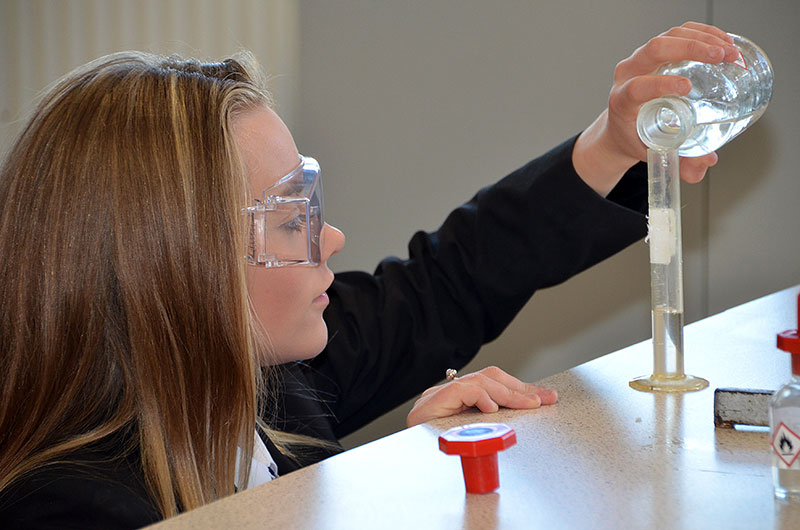 Our aim is to ensure all pupils achieve or exceed their academic potential and are provided with the opportunity to gain qualifications in Science, for their own ambitions of future study or careers. This is achieved through providing an enjoyable, absorbing and compelling learning experience for all pupils. Independent of need or ability, through the curriculum and/or extracurricular activities. 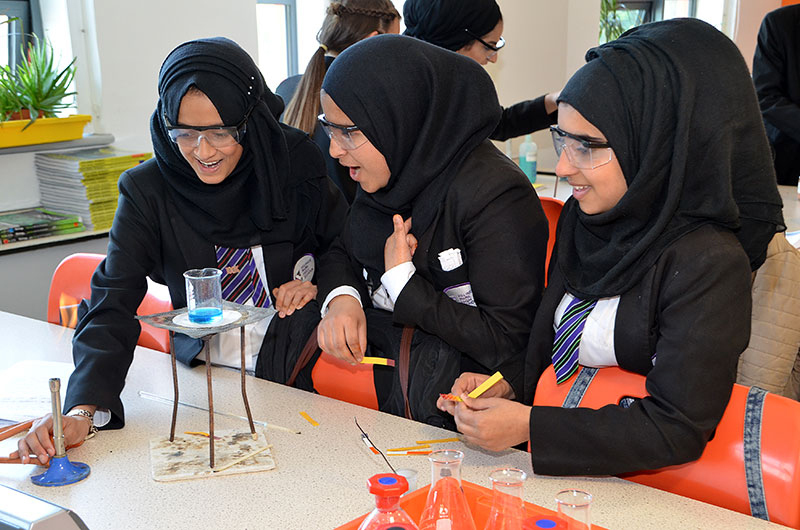 The Science faculty engages pupils at an early age in the disciplines of Biology, Chemistry and Physics. Focusing on a combination of practical study, working scientifically, applications in Science, scientific literacy and numeracy development. Ensuring a pupil’s core knowledge and understanding in preparation for their KS4 study and beyond is secure. The KS4 curriculum is studied over two years in Years 10 and 11 and is linked to the pathway that the pupil studies. All exams are taken in Year 11 and will be awarded from the new grading system of 9 -1. Route 1: AQA Combined Science Trilogy (8464). Biology (8461), Chemistry (8462) and Physics (8643). pupils will take six exams and be awarded three individual GCSEs. Falinge Park High School has become the first school in the country to be awarded the Excellence in STEM (Science, Technology, Engineering and Maths) accolade in June 2016 by the Museum of Science & Industry. This award is for several enrichment projects which brought together Science, Technology, Engineering and Mathematics in order to inspire students to look more closely at career prospects in these industries. We aim to create a Compelling Learning Experience at Falinge and STEM embraces this. Alongside our curriculum, our enrichment opportunities develop students as inquisitive thinkers, researchers, team players and leaders, challenging their natural curiosity of the world around them. Meet the scientist. Different scientists working across a range of scientific industries are invited in to talk about their route into their particular field. Science Stars trip to Manchester University, gives year 9 students a taste of university life, taking part in hands on science such as having the opportunity to carry out ‘blood’ tests to diagnose diabetes, search for alien life, build a model brain and find out more about the organisms that live in our gut. They also attend a lecture. This year’s lecture was on sports physiology, learning how athletes can use science to help them win Olympic gold medals. Professional Laboratory experience at the University of Manchester. Women of Wonder event – highlighted and celebrated women who are making a difference in the fields of science and engineering at The University of Manchester. 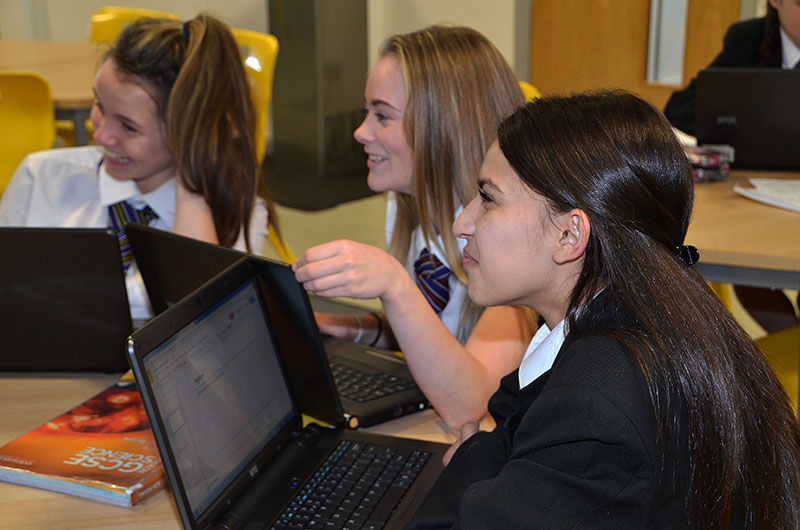 STEM club – We provide pupils with a range of fun activities and competitions for all year groups which allow them to develop practical skills, to explore scientific ideas and to enjoy Science. The activities completed in STEM club would not normally be done in lessons and sometimes uses specialist equipment not found at home. For example we have made hexx bugs, magnetic slime, non-Newtonian fluid, candy chromatography and much much more! The club has been running successfully every week for three years. Young Scientist – students are identified in year 7 and given the opportunity to develop their Scientific enquiry skills, as well as confidence and communication. They undertake a number of practicals which relate to the real world and finish off the programme by presenting their newly acquired skills to family, friends and staff members during a small presentation evening. Bronze Crest Award – students are given the opportunity to explore real-world science, technology, engineering and maths projects such as fun at the fair, space exploration and fraud detection. students are encouraged to take ownership of their projects; which they choose in an area they find relevant and enjoyable. This allows students to build essential skills and demonstrate personal achievement, as well as gaining an award that is recognised by UCAS and the Duke of Edinburgh Award. Wind Turbine Project that involves research, design and construction of a fully functioning wind turbine to produce electricity. Royal Society of Chemistry’s Global Experiment to find out the best conditions for growing crystals. 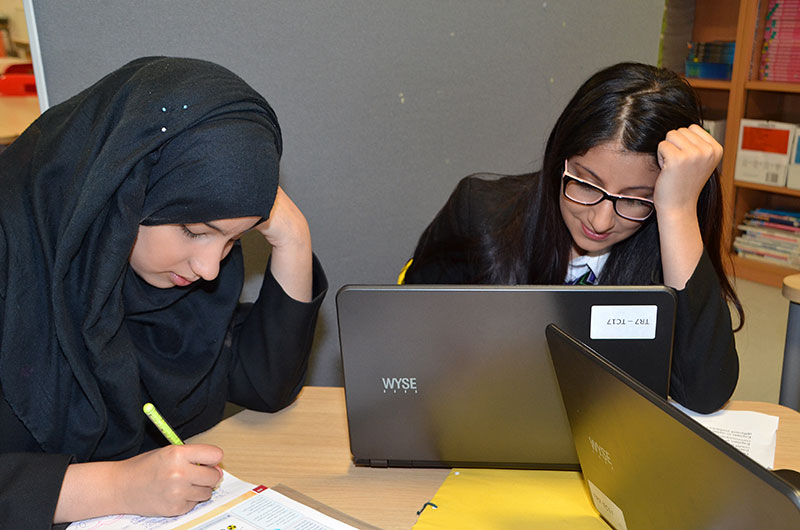 Revision clubs are offered after school and are designed to support students in developing their knowledge and understanding as well as preparing them for their examinations.